TV Segment, Written and Directed by Roger Ross Williams for New York Times Television, 2003. Executive P roducer: William Abrams; Associate Producer: Anneliese Paull; Cinematography by John C. Kelleran; Film Editing by Jay Keuper and Jeremy Stulberg; Research Assistant: Pawel Grajnert. WHER ALL-GIRL RADIO - Record producer and label owner Sam Phillips is probably best known for signing Elvis Presley to his first record contract and introducing him to the world. But he also founded and owned the country’s first ''All Girl Radio Station''. Living in Memphis, Sam Phillips had long wanted to own a radio station. 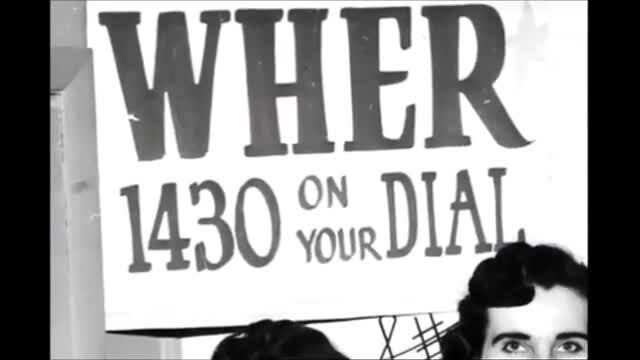 In 1955, the FCC awarded him the rights to 1430 AM. Phillips put together a group of investors to assemble the station, including Kemmon Wilson, who at the time had just begun his ''Holiday Inn'' hotel chain. The station was based in a Holiday Inn in Memphis. Phillips wife Becky had worked as an announcer on a local station and suggested the ''all-girl'' gimmick. At the time, most stations had a single female voice that might give the time or station identification and read some commercials. Phillips decided that women listeners might relate better to a station where all you heard were women’s voices: All the on-air personalities were women, women read the news and programmed the records. The station even employed all female salespersons and management. Phillips promoted the angle relentlessly and he never missed a chance to point out the differences between his ''All-girl'' radio and the other male-dominated stations. Media coverage at the time reported that the disc jockeys were renamed ''jockettes'', the studio was called ''the doll's den'', the WHER stationary was perfumed and exit signs were replaced with ''Bye bye till next time''! While these affectations seem dated and downright condescending today, at the time they were seen as innovative and drove home the fact that this station was by, for and about women. Programming was a mix of talk, jazz and easy listening. Women program directors screened new releases for inappropriate lyrics or suggestive content. The station proved popular with female listeners and advertisers alike, lasting for 11 years and spawning a handful of copy-cats, most of which duplicated the on-air female voices but didn’t follow through and employ women behind the scenes as producers, copywriters and salespeople, as WHER did. Today, radio is still seen primary as a man’s business, with few women on air and even less behind the scenes, but for a brief period, women ran the show in Memphis. As Assistant Manager and Program Director Dorothy Abbott ( a.k.a ''Dot Holiday'') was quoted saying, ''We are not trying to prove that we can get along in a world without men. We are simply trying to prove that when a group of women make up their collective minds that they are going to do something successfully, no force on earth can keep them from it''.